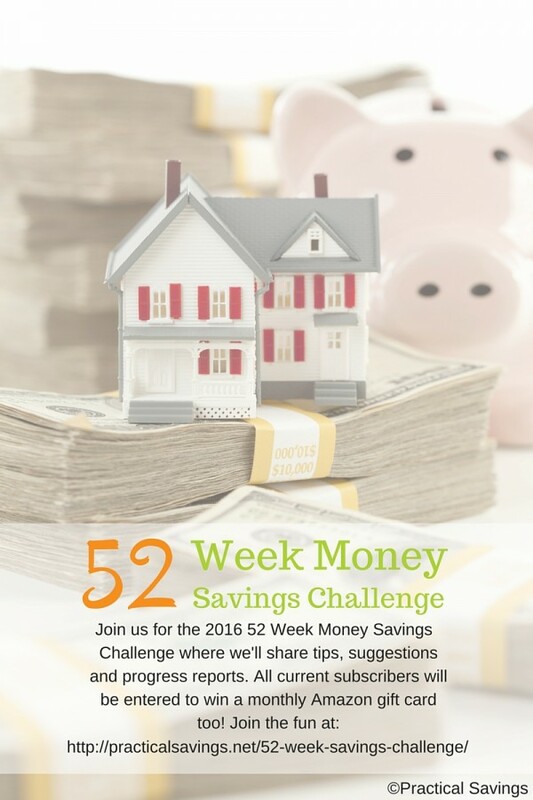 It’s week 21 of our 52 Week Money Savings Challenge and this week I want to talk about refinancing your home. Let me start off by saying this is in no way financial or legal advice. I’m merely sharing from my own experience of having refinanced our home twice since buying it almost 12 years ago. We bought our home in January of 2005. Two years later, we had to refinance because our interest rate was going to jump up (it was already at over 7%) and we wouldn’t be able to afford the payment. Somehow, a small local mortgage broker got our number and called us. He went through the process with us and we were able to drop our rate to 6.15%. We took out some equity, which brought our debt back to the amount of our original loan. Enter the economic crash in 2008. Over a period of time, our house lost almost two-thirds it’s value, my husband had to switch jobs and our mortgage payment was once again too much. We looked into refinancing again when we discovered interests rates were so low and thanks to a wonderful lady at a company that no longer exists, we were about to refinance in the 3% range. Having been through the refinancing process twice, here are a few things I learned along the way. The Reason – Think about your reason to refinance. Is it to save money on your monthly payment? Shorten or lengthen your loan? Whatever your reason is, make sure you’re ready to crunch some numbers. Refinancing costs money so it’s probably not something you want to do just because. The Broker – Find someone you feel you can trust. Don’t settle for uncertainty. We’ve had both good and bad experiences when deal with people and loans. It’s makes a huge difference dealing with someone you feel you can trust when you’re trying to understand a process that might be quite foreign to you. The Equity – Just because you have equity in your home doesn’t mean you need to take it out. Talk with your broker and know why you want to use some of the equity. Do you homework before including that in your refinancing. We decided to take out $5K in equity to build a garage, but we failed to do our homework before refinancing and discovered in order to obtain a permit, our city wanted us to sign some papers stating that they could require us to curb, gutter and sidewalk the dirt road next to us for the length of our property. The Cost – In my own research, I discovered that refinancing generally costs between 3% – 6% of the loan’s principle. That may sound like an insignificant percentage but when you add that to what you already owe, it brings your new loan amount up that much more. It is just something to consider in your number crunching. The bottom line: Don’t jump into a refinance without doing research and leg work. Find someone with whom you feel comfortable walking through the process with and you feel you can trust.